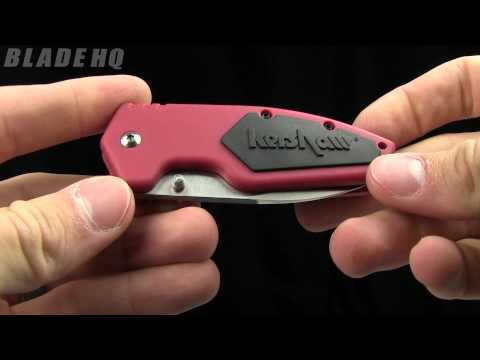 The Kershaw Half-Ton 1445 is a small but mighty folding knife. 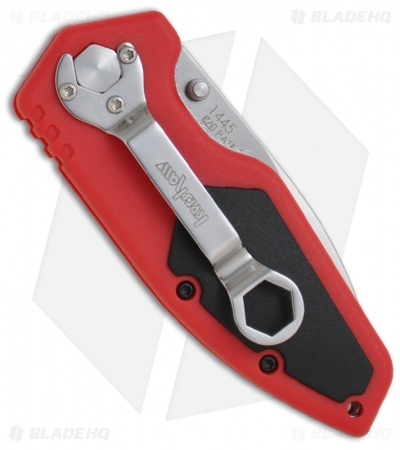 The Half-Ton has a red glass-reinforced nylon handle with Santoprene inserts for grip. The handle has a steel liner lock lock frame. The spear-point style blade is satin finished 8CR13MoV stainless steel with ambidextrous thumb studs. 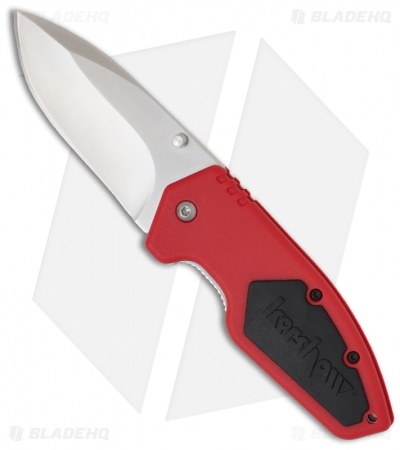 The tip-down Wrench Clip makes this a great knife for everyday carry. The Half-Ton can also accommodate a thin lanyard. This inexpensive knife makes a great gift and works well in any tool or tackle box. All I have to say is that this knife is a tank for the price! It's definitely a cheap knife, but again, for the price, it's great. I used this knife for a long time before getting an upgrade. In ordered this knife because it was cool looking and the price was right.. I've now carried this knive for more than a month and I must say, it a great little knife.. Blade was very sharp, the scales give you good traction the lock up is solid, and the pocket clip holds well to you pocket.. Good utility knife, couldn't see this as your standard EDC for protection, but for peeling an apple, cutting open a box, cutting par cord, or just an extra knife in your EDC bag, it's a very solid buy..